It might not be a matter of conscience for you, but it is for the other person. For why should my freedom be limited by what someone else thinks? Have you ever wondered why certain people are happy to just stay where they are in life? Not just living conditions or region of the country, but they seem to enjoy being broken spiritually or left alone in the their pain. It’s like they got to the top of the ladder and decided that their journey ends right there. They lose hope in life and decide that God has them right where they are suppose to be and see no sense in pressing in any farther for the things of God. They stop searching for things in life and are content with just sitting. Why? Who taught them that there are limits? I have a guess and this is what I will elaborate on tonight. I feel some have lost hope because they have not received any uplifting words in their life. Perhaps they grew up in a household where they were never good enough for their parents standards. Maybe they were told by their peers that they would never amount to anything. So many things can be said out of lack of knowledge to the children we are raising and this causes damage that perhaps will not surface until years later. So many people are broken hearted and without hope merely because of words spoken over their lives. When you are told over and over again that you are not good enough or your not accepted, soon the words begin to take root and they will hold you into place until someone releases the pain. How are they able to let loose? The love of Jesus. These people need someone with the love of God to begin to pour good words into their lives so that they are able to move forward. 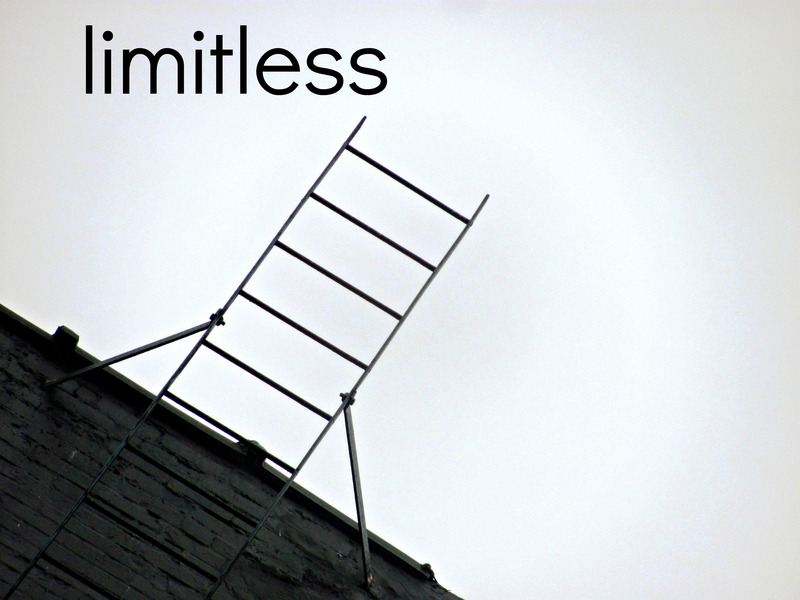 I want to encourage anyone right now who is sitting at the end of the ladder, that the sky IS NOT the limit. God has a plan for each and everyone of us and believe me it’s not stopping when we get to the top of the ladder. He has far greater plans for each of us. I could stop right now where I am and not publish my books and just enjoy the married life, not pressing any farther into the things God has planned for my life….but why? My life is but a vapor according to the Bible so why would I want to just stay where I am? So, take hold of the top rung of that ladder and reach towards heaven and find that next ladder God has ready for you. For, life is but a series of ladders per say, once we climb one and enjoy the view it is time to search out the next one and the next one until we have attained all we can here on earth….I plan to still be climbing my ladders until I breathe my last breath for I believe this is the desire of God Himself.